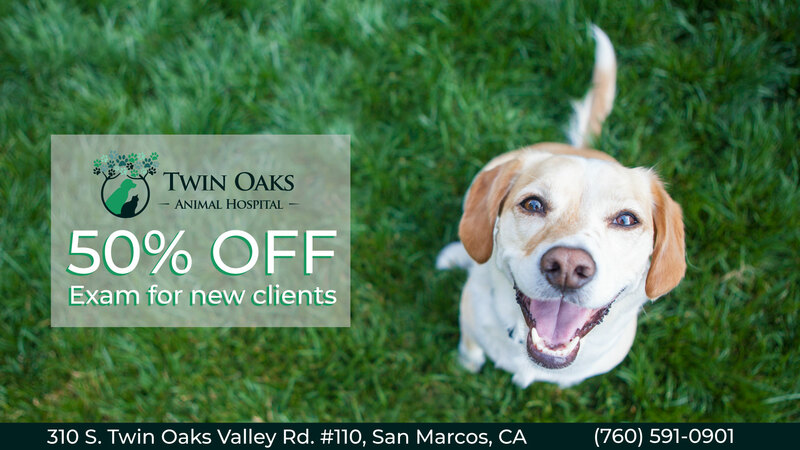 Twin Oaks Animal Hospital is located in San Marcos, CA. We have been providing quality, personalized care for your best friends since we opened in 2013. For more information about our hospital or services, please feel free to browse our website, or call and speak with our friendly team members at (760) 591-0901.